Today, I’m just going to draw. There’s no better way to improve drawing skills than to practice. Draw everyday if you can. There are subjects all around us. I’ll chose something simple that I can draw quickly. 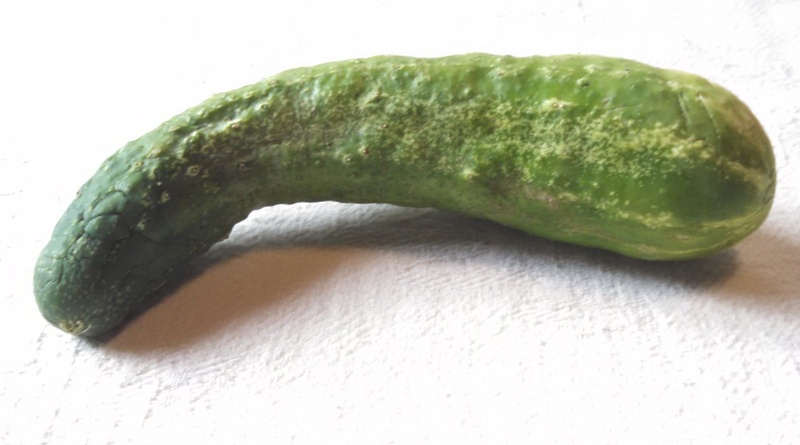 How about this cucumber? It came from a friend’s garden and I think it has a delightful shape and interesting texture. This will do quite well. I don’t usually do still life. I prefer scenes and people, but for demonstrating basic concepts, you can’t beat fruits and vegetables! I start by doing an outline of the shape, then begin to fill in a tone that represents the shadowed areas. I use a 2B pencil for the entire drawing, starting out light and building up values, pressing harder when I want a darker tone. As the values darken I begin to indicate the bumps and ridges of the cucumber. Throughout the entire drawing I keep my eyes on the vegetable to inform my hand. Nearing the end I pause to check values, lift a few spots with my eraser and sharpen details with firm lines. Note: I don’t usually draw this frenetically. Drawing should be thoughtful and leisurely. In the interest of holding your attention, the video is double-time.